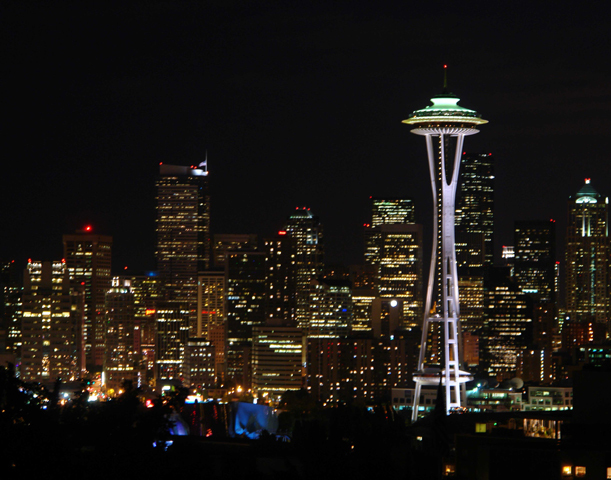 Seattle is like many large cities and they badly want a gigabit fiber network everywhere. They were one of the earliest cities to want this and they hired me back in 2005 to try to find a way to bring big bandwidth to the city. They still don’t have fiber, and they recently commissioned another study to see if there is a solution available today. The Incumbent Response. If a city does nothing they may never get fiber, or they might get fiber to some of the ‘best’ neighborhoods, but not everywhere. We see that in markets where somebody other than the incumbents brings fiber that the incumbents immediately step up their game and offer fast speeds. There is no better evidence for this than in Austin where both AT&T and Time Warner quickly announced much faster speeds and competitive prices to offset Google’s entry into the market. But everybody understands that the incumbents in Austin would not have increased speeds absent any competition, as can be seen in their many other markets. This create a huge dilemma for a city. Should they decide to build fiber alone or with a commercial partner, that new venture will be met with stiff competition and will have a hard time getting the needed market penetration rate to ensure financial success. But should the city do nothing – then they get nothing. Citywide Coverage. In large cities almost no commercial builder is willing to build fiber to every neighborhood. One doesn’t need a crystal ball to look at the consequences of this in the future. A city will become a patchwork of fiber haves and have-nots. The have-not neighborhoods probably already have some poverty and blight, but if they get walled off from having the same broadband as everybody else, then over time they are going to become even more isolated and poor. Every city that has Google coming to town is so thrilled to have them that nobody is looking forward ten and twenty years to imagine what will happen to the neighborhoods without fiber. Cherry Picking. Google is selling a gigabit for a flat $70 per month. While that might be cheap for a gigabit it is still a cherry picking price that is too expensive for most households. It’s hard to imagine more than 30% to 40% of any market being willing to pay that much for broadband. A large number of homes settle for something slower, but that they can afford. And almost every other gigabit provider charges more than Google. For example, CenturyLink is now selling a gigabit in some markets at $79.95—but in order to get it you have to buy a $45/month phone plan. Before taxes that means it will cost $125 per month to get the gigabit. I can’t see that Comcast has a gigabit product yet, but earlier this year they came out with a 2-gigabit fiber-fed product priced at $300 per month. The problem with cherry picking is that it also creates a market of haves and have-nots. The incumbent cable company may not like the competition, but they know they are still going to be able to sell over-priced bandwidth to the majority of the market. Look at how Comcast has fared against Verizon FiOS and you will see that, while they hate competition, they still fare quite well in a competitive market. A Possible Solution? The Seattle report did suggest one solution that could make this work. Cities not only want fiber, but they want fiber everywhere and at prices affordable to the vast majority of their citizens. Any city that can accomplish that understands that they will have a huge competitive advantage over cities without affordable fiber. The report suggest that Seattle ought to ‘buy-down’ the retail rate on a gigabit by paying for some of the network with property taxes. This is not a new idea and there are a few small cities that have financed fiber using this solution. But nobody has ever tried this in a large city. The report suggests buying the price of a gigabit down to $45 per month, a figure that is not cherry-picking and that a lot of homes can afford. That kind of price certainly would put a whole different set of competitive pressures on the incumbents. I can imagine them screaming and probably suing a city who tries this. But if this was done through a referendum and people voted for it, almost no court will overturn a vote of the people. I don’t know if this idea can work in a large city, but it’s the first idea I’ve heard that deals with the issues I’ve outlined above.